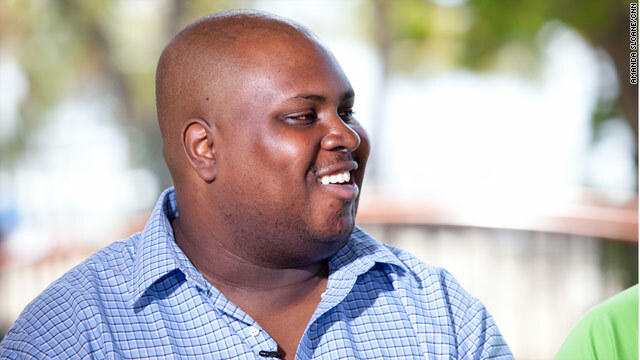 Kendrick Henley was one of six CNN viewers chosen to be a part of the 2011 Fit Nation Triathlon Challenge. He trained with Dr. Sanjay Gupta and raced the New York City Triathlon on August 7. 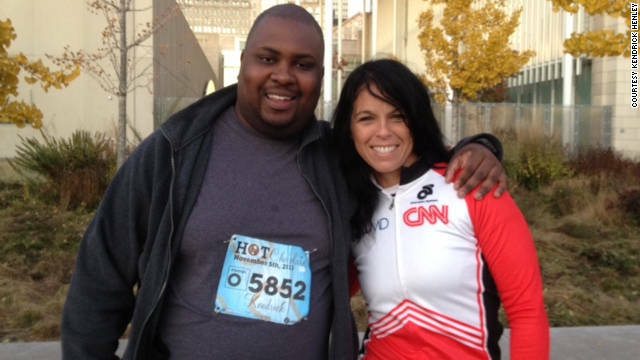 CNN is looking for viewers like Henley to join our 2012 Challenge. Click "Share Your Story" to apply. It has been almost a year since I applied to be a part of CNN Six Pack. When I applied, I had been trying to get in shape for the past several years, but could not seem to follow through. So, I thought if I did the CNN challenge, it would motivate me to get fit or at the very least, hold me accountable. So I decided to submit a video. As I thought about what to say, I decided that I would just be honest and plainly spoke into my webcam and sent my video. I remember getting the call on Christmas Eve from Dr. Sanjay Gupta indicating that I was chosen to be a member of the Six Pack. I was so excited, but said to myself, “I have to do this.” I must say that this was an incredibly hard challenge for me, but it was so rewarding. I still remember when I first arrived at Well-Fit Triathlon Training Center for my first workout where I was constantly stopping and could not continuously exercise for more than 2 minutes. Then came the small breakthroughs: my old belt being too big, biking 20 miles, running a mile without stopping and finally crossing the finish line in New York. I cannot believe that I did it. I realized that this journey was going to be more than 6 months and that it would take additional time to reach my goals, but I am so glad that I took this first step. It has helped me begin to change my life. I am less than one week away from my first triathlon and it has been an amazing six months. While there have been some setbacks and disappointments, I am glad that I took this first step. The biggest change I have seen in myself has been increased confidence. I remember when I first met my trainers in January and was not sure that I could actually complete a triathlon. I was a bona-fide coach potato and remember how after a few strokes in the endless pool I was out of breath. Last week in Lake Michigan, I swam almost a mile and was able to settle into a rhythm and regulate my breathing. 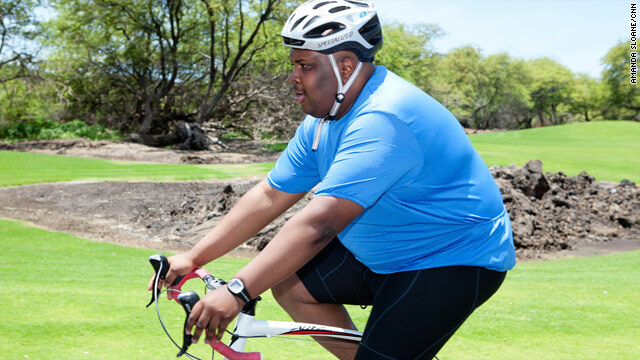 Since January, six iReporters have been training in the Fit Nation Triathlon Challenge. We’re following along as they prepare to compete alongside Dr. Sanjay Gupta in the August 7 Nautica NYC Triathlon. I made little changes that I think worked. I took the stairs whenever I could. 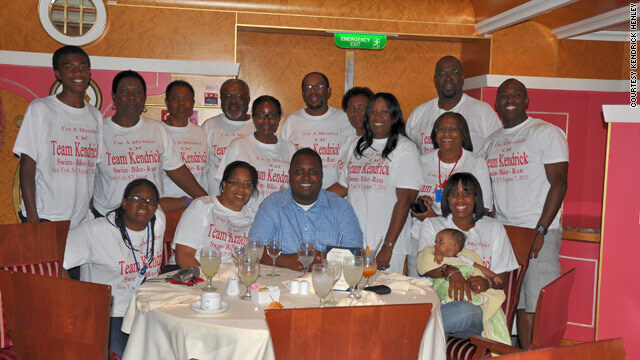 I also made sure that my shore excursions were active ones, such as scuba diving and snorkeling. In terms of nutrition, some days were better than others. A good day would include a breakfast of oatmeal, lunch of chicken and vegetables, and broiled fish and vegetables at dinner. A bad day would include pancakes for breakfast, a hamburger for lunch, and steak for dinner, but I still tried to watch my portion size. The past few weeks have been amazing! All of the pieces are coming together. At the end of May I biked 30 miles. It is the farthest I have ever biked. I remember in Hawaii I was so shocked that I was even able to do 12 miles, now I've complete 30 miles. My bike handling skills have significantly improved. Last week my trainer, Mary Ann, showed me how to get more power out of my pedal stroke by simply using a harder gear. This minor change allowed me to go faster without exerting more energy. Today was another improvement. With my trainer, Keith, we began with our typical warm-up with a short run/walk combination. I started running on the treadmill and before I knew it, I had run a mile without stopping. Normally, I have would run half a mile and walk the other and alternate, but today I ran a whole mile without stopping. Also, my heart rate fluctuates when I run, but today I was able to keep it in the 140s. It has been one week since I came back from Hawaii and there are 14 weeks left to go until race day. Before Hawaii, I had a few bad weeks of training and was a little discouraged, but Hawaii was like a big reset button, and I am feeling great about training going forward. Tim DeBoom offered some words of encouragement and told me to “embrace the process.” Those words are really changing the way I look at workouts. I use to dread the workouts, but now I look at them as opportunities to improve my skills and build endurance. Also, my cycling has improved. I biked on Saturday with my coach and we had a breakthrough. We lowered my bike seat, and such a small change produced a huge result. For the first time since I have been riding outside I felt in total control of the bike. I finally feel that the pieces are coming together nicely and cannot wait until August. I have had the most amazing time here in Kona. 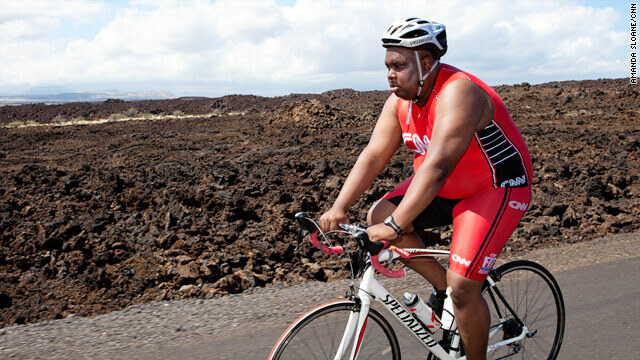 On Tuesday, I was riding my bike in the lava fields and really taking in the scenery and getting into the groove of the ride. The most difficult thing with the bike has been having control over the bike. Unlike other bikes I have had in the past, road bikes are really responsive to the slightest movement of the handle bars. Also, our bike rides in Kona have been on the shoulder of a very busy road, which made me anxious. So as I was peddling along, I veered off the road into the gravel, and as I tried to brake it I kept going, and before I knew it, I flew off the bike over the handle bars and my chin hit a lava rock. After a brutal Chicago winter, last weekend it was warm enough for me to actually bike outside. Until now, I have been doing all of my bike workouts inside on a trainer. While it's nice that you can watch television, it gets old very fast, especially since I don't have cable.